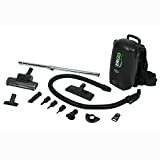 The cool new Backpack Vacuum may look like an unlicensed nuclear accelerator designed for capturing ghosts, but this lightweight and portable vacuum that you wear on your back makes the chore of cleaning carpets as effortless as simply walking around. 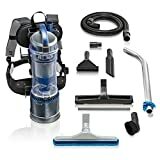 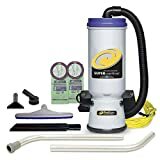 Rather than lugging around a heavy vacuum cleaner, just strap this compact 7.5-pound canister vac to your back and gain optimum mobility as you slip into tight corners and access all the tiny nooks and spaces that need cleaning. 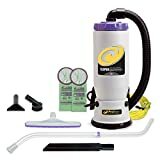 It features soft padding that provides extra cushioning on the back, adjustable shoulder straps, a powerful 800-watt motor, HEPA filter, 6 cleaning tools, 2 extension wands, and a mesh storage bag. 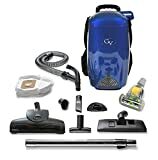 In the future, you can skip wearing it yourself and just have the robot do it.